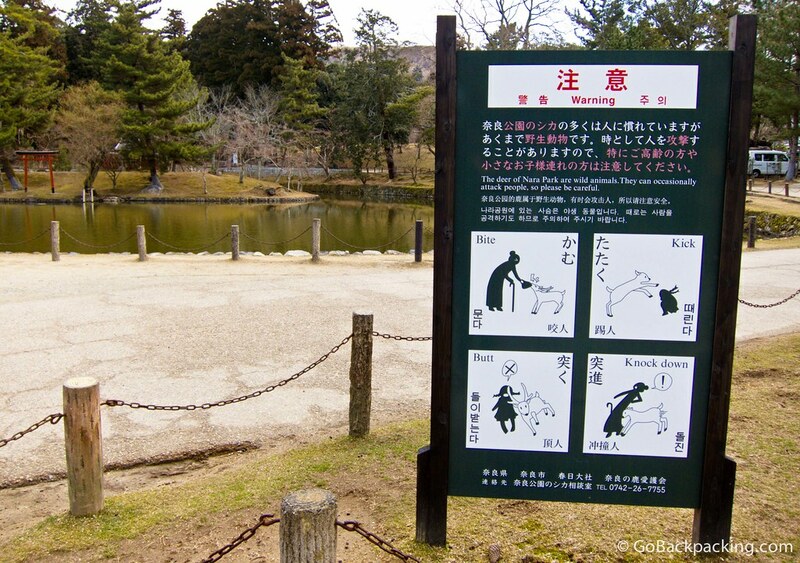 I first learned of the wild, roaming deer of Nara Park from a blog post by Stephanie at Twenty-Something Travel. Eventually I found my way to Japan earlier this year, and visited Nara Park myself, as it's an easy day trip from Kyoto. Thankfully, neither of us had any rough encounters with biting, kicking, head-butting deer! Planning a trip to Japan? Book budget-friendly train passes here! Those biting-kicking-headbutting sacred deer can be menacing!